Regardless of how much you want to tell your partner that she should appreciate a beautiful relationship, you still need to stay calm and keep your distance. Give your partner some space to breathe. The biggest mistake made by many couples, when they split always interrupt their ex. It will only make them feel anxious, and their desire to leave you will be even greater than before. When they are away from you and do not get to see you as often as usual, they will immediately begin more miss you. In that manner, you give yourself more chances to get back together with your partner. Yes, now is the best time to think about yourself. Nothing you can do by thinking of her. So you might as well reflect on how you can improve your image of yourself as well as your inner qualities. 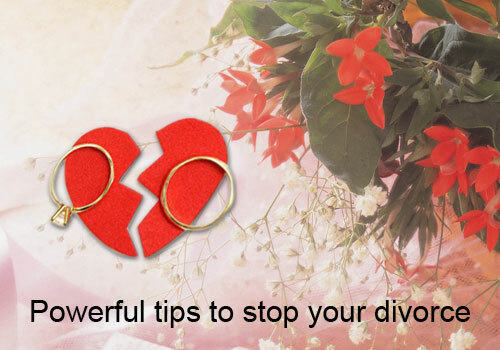 Consider what might lead to divorce and find a solution to fix it. However, do not misunderstand that you make changes to your ex because you correct your mistakes. So you can become a better person. It doesn't mean that with correct your mistakes, you will surely get a better chance to get back together. But it means that you are opening the way for future relationships better. Talking to each other is something that you both need to do, but not immediately. You may be dying to talk to your partner now. But you have to hold back until you both have taken some time to calm down first. If you have not been calm, greater your chances will be shouting and making accusations of each other. That will not help your relationship at all. Once you've let each other some time to calm down and you both feel that it is time to talk, you'll have a higher chance to get an honest answer from your partner. You will find out what is wrong and also decide what to do next. It is not a time to accuse one another. But, it is time to understand each other's point of view and decide what the next steps. In fact, this is the best way to build relationships that really steady and reliable. Not the end of the world if your spouse has decided to call a divorce. You can still try to get back together with your partner if you still love her. Nobody said that it would be easy. But if you are persistent, and you apply the three tips above, you can stop the divorce and build a stronger relationship. 0 Response to "3 Powerful ways to stop your divorce"